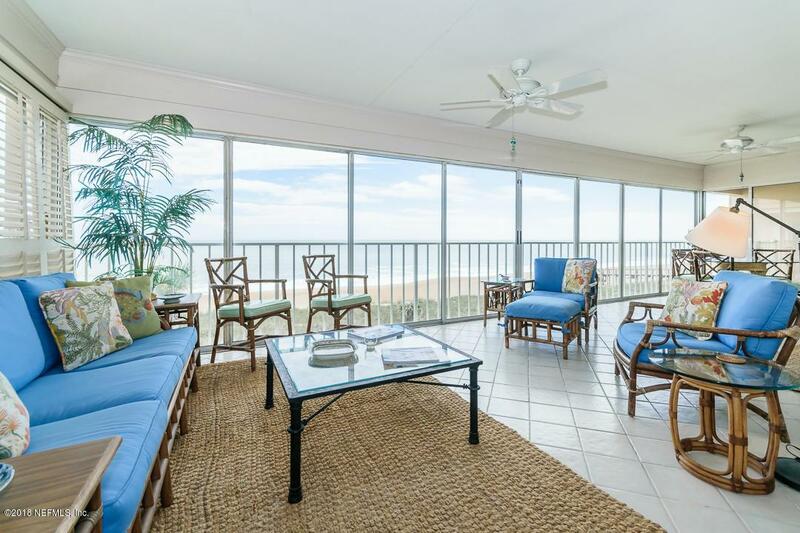 OCEANFRONT COMFORT IN THE HEART OF PONTE VEDRA BEACH. 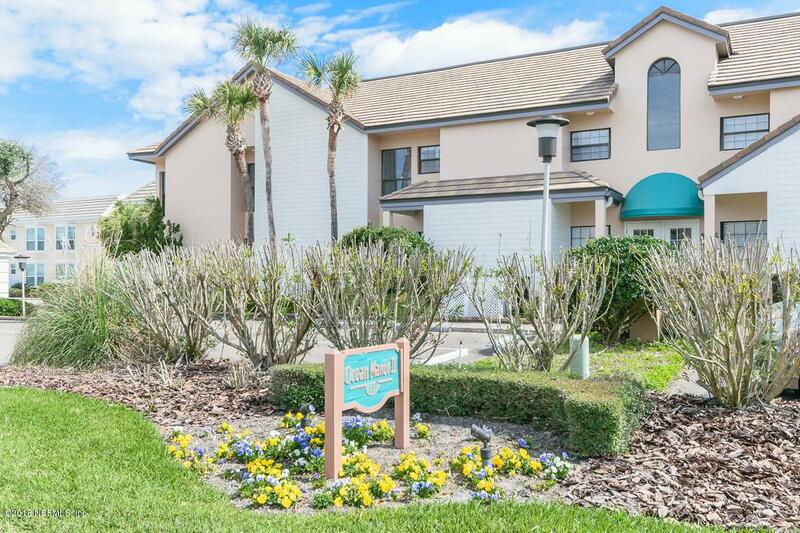 THIS SPACIOUS, RELAXED, SECOND STORY CONDOMINIUM OFFERS OVER 2,500 S.F. ALL ON ONE FLOOR! 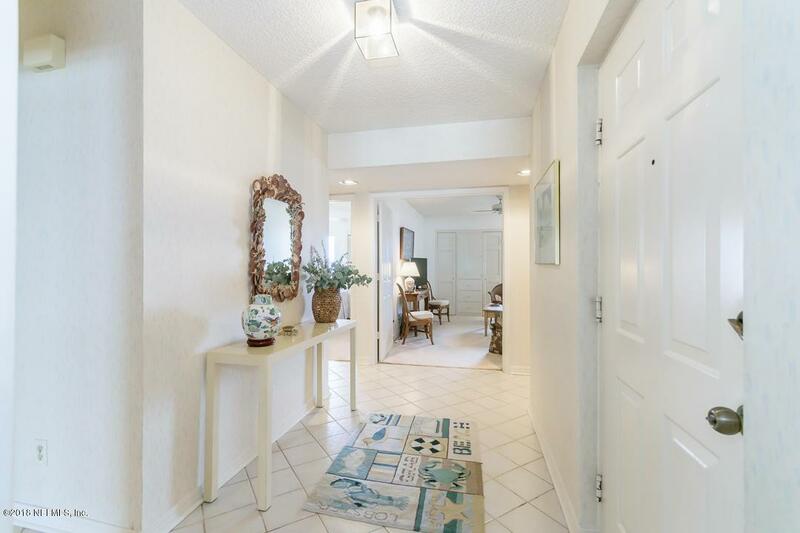 WELL MAINTAINED AND APPOINTED BY ORIGINAL OWNERS WITH BUILT-IN CABINETRY THROUGHOUT. END UNIT PROVIDES A LARGE OPEN FLOOR PLAN LIKE NO OTHER WITH PLENTY OF DEPTH AND WIDTH. THE LIVING SPACE IS CLEAN, BRIGHT AND OPEN AND OFFERS ROOM TO BE TOGETHER. THE BEDROOMS ARE WELL PLACED AND PROVIDE LOTS OF PRIVACY. LIVING ROOM IN FULL VIEW OF THE OCEAN. 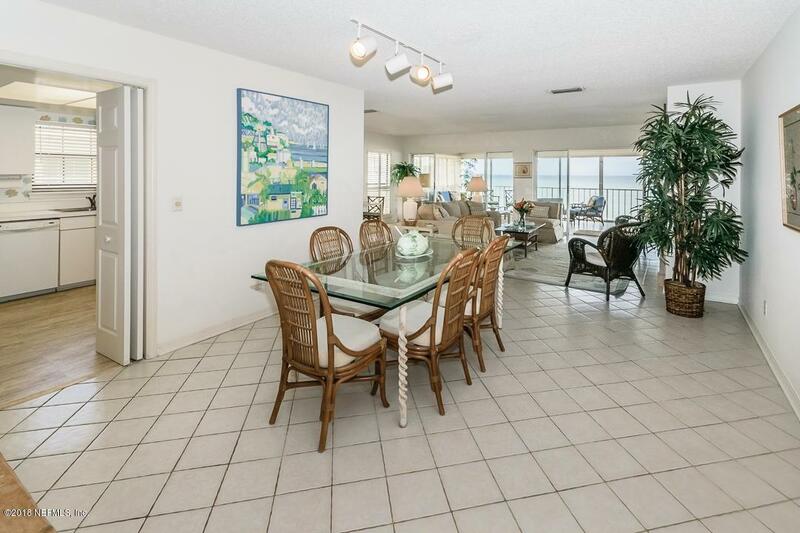 SEPARATE DINING ROOM FOR WARM FAMILY GATHERINGS. SEPARATE LAUNDRY ROOM WITH FULL-SIZE WASHER AND DRYER. TWO RESERVED GARAGE PARKING SPACES AND LARGE STORAGE ROOM DIRECTLY BELOW THE UNIT.THIS GREAT UNIT IS MOVE IN READY! Listing courtesy of Bingemann Realty Sales, Inc..